As the 2012-2013 academic year winds down, Buffalo State continues to offer intellectual and artistic events that make our campus vibrant. If you haven’t yet attended a Year of the City lecture, performance, or art exhibition, there is still time. The free exhibition of art education students in ceramics, paintings, photographs, textiles, sculptures, and multimedia runs through May 8 in Upton Hall’s Czurles-Nelson Gallery. Gallery hours are Monday through Friday, 9:00 a.m. to 4:30 p.m. (716) 878-3549. Scott W. Perkins, curator and author of essays about the famous architect, will present “Inside/Outside: Transitional Space in the Work of Frank Lloyd Wright” at 7:00 p.m. in the Burchfield Penney Art Center Auditorium. Part of the Graycliff Lecture Series, Perkins’s talk will illustrate Wright’s views on outdoor space and feature examples from all eras of this career. Tickets are $5 for Burchfield Penney and Graycliff members and $10 for the general public. Contact the Burchfield Penney Art Center at (716) 878-6011 for more information. Hear a number of Buffalo State chamber ensembles perform in three free performances, May 1 and 8 at 7:30 p.m. and May 5 at 5:30 p.m., in the Louis P. Ciminelli Recital Hall. 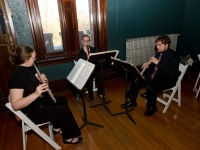 The ensembles represent student talent—from the Saxophone Quartet to the String Ensemble—playing music in a broad spectrum of styles by composers as varied as Bach, Jobim, and Lennon-McCartney. The May 5 concert will include vocal chamber music performances while the other two performances will features instruments only. For more information, call (716) 878-3005. Buffalo State’s Year of the City presents the discussion “The Future of the City” at 6:30 p.m. in the Burchfield Penney Art Center. The roundtable members are six Western New Yorkers whose belief in a booming, twenty-first-century Buffalo is exceeded only by the efforts they are making to bring that city to life. For more information, call (716) 878-6674. The event is free and open to the public. The staff of the Whitworth Ferguson Planetarium is hosting an open house from 2:00 to 5:00 p.m. in the atrium of the new wing of the Science and Mathematics Complex. The event will include an inflatable planetarium, safe telescope viewing of the sun, and presentations/activities about comets, meteorites, the night sky, and UV solar radiation. Without a fixed planetarium for the next few years, the earth sciences and science education faculty will host open houses and work with other Buffalo institutions to present educational information under the motto “Learning. Beyond the Dome.” Admission is free and open to all ages. 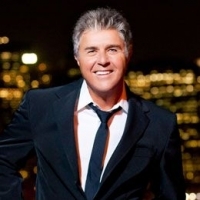 As part of the Great Performers Series presented by M&T Bank, legendary jazz balladeer Steve Tyrell returns to the Performing Arts Center at Rockwell Hall for an 8:00 p.m. concert. Tickets are $40 for the lower tier; $35 for the upper tier; $32 for seniors and Buffalo State faculty and staff. Students may purchase $15 one hour prior to the concert. Tickets can be purchased online through the Performing Arts Center or via phone at (716) 878-3005. The 15th annual celebration showcasing undergraduate student research and scholarly works will be held in E. H. Butler Library on Friday, May 3, from 5:00 to 6:30 p.m. and Saturday, May 4, from 8:30 a.m. to 4:30 p.m. For more information, call (716) 878-4724. Full schedule and program. The event is free and open to the public. 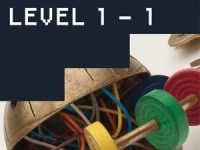 Videogame-inspired metalwork by student Veronica Keymel is on display in Upton Hall’s Margaret Eschner Bacon Student Gallery from May 6 to 9 from noon to 3:00 p.m. and May 10 from 4:00 to 7:00 p.m. An opening reception will be held Monday, May 6, from 7:00 to 9:00 p.m. The Burchfield Penney Art Center invites current, former, and future educators to enjoy the museum free of charge from 10:00 a.m. to 5:00 p.m. in recognition of National Teacher Day. From 3:30 to 4:30 p.m., teachers are invited to come to the museum’s Burchfield Café for coffee and a chance to talk one-on-one with museum staff about tours and school partnerships. At 4:30 p.m., there will be a curated tour of Charles E. Burchfield: Oh My Heavens. For more information, call Mary Kozub, museum education and tour manager, (716) 878-3156. The 2012-2013 series wraps up with Saziye Bayram, associate professor of mathematics, presenting the free talk "The Numbers Behind the Kidney: Mathematical Modeling of Renal Dynamics” from 3:00 to 4:00 p.m. in Ketchum Hall 320. A short informal wine-and-cheese reception will be held afterward. Colleagues, friends, graduate students, and advanced undergraduate students are welcome. The Burchfield Penney Art Center is participating in the Association of Museum Directors’ Art Museum Day. Visitors enjoy free admission from 10:00 a.m. to 2:00 p.m., lunch specials in the Burchfield Cafe, a docent-led tour at 2:00 p.m., membership specials and raffles, and a free poster. Contact the Burchfield Penney Art Center at (716) 878-6011 for more information. The 10th annual event to benefit the hungry in Western New York will be held from 11:00 a.m. to 2:00 p.m. at the Burchfield Penney Art Center. Participants can purchase bowls made by college students, local schoolchildren, and professional artists and receive a light meal donated from area restaurants. All proceeds will benefit Friends of Night People and the Food Bank of Western New York. For more information, contact John Siskar, director of the Center for Excellence in Urban and Rural Education at (716) 878-3610.